What kind of books do your children love to read? It is very rare for children in these modern days to enjoy reading classic literature. Comics, jokes, televisions, and electronic gadgets are more popular than classic literature. Today I would like to share some benefits of reading classic literature for children. When starting to write this post, I was confused about my word for the term used for the timeless books that are read around the world. Should I use classic or classical literature? According to Wikipedia, in practice, classical literature generally refers to the literature of Ancient Greece and the Golden and Silver Ages of Rome. Meanwhile, a classic is a book accepted as being exemplary or noteworthy, for example through an imprimatur such as being listed in a list of great books, or through a reader’s personal opinion. 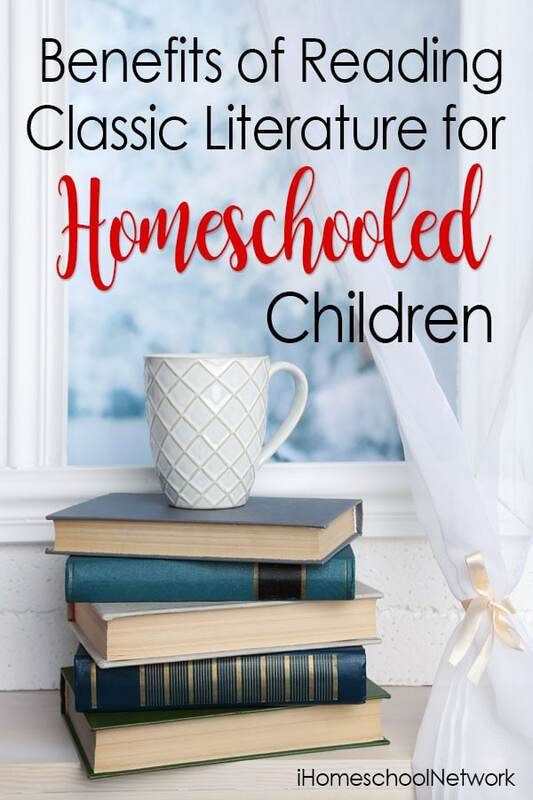 Both classic and classical literature refer to literature that is worthwhile to read and study in the history of human life from the past, present, and into the future. For this article, I’ll be using the term classic literature. Do you struggle to get children reading classic literature continuously? If they have options, they will usually choose either comics or the modern stories. If you have read books about Charlotte Mason, you will note that these such books are often called twaddle. Although classic literature is not as popular as twaddle for children, students and adults continue to read it for years and even centuries. Schools often include the classics on their required reading lists. Classic literature teaches about life lessons through human history. Classic literature shows that a lot of life’s problems have the same basic patterns. They deliver the same message repeatedly. Thus, classic literature can provide readers with moral messages. Our children can learn life lessons and receive more intuition and inspiration to face real life. Reading any book can help build vocabulary skills, but classic literature can add more new ranges of words. Reading classic literature is the shortest and easiest way to learn both history and culture of people and places. We are always surprised when we find the connection between the real facts and the story of the classic literature we read. It ends up being a sort of accomplishment in our learning. Like other benefits of reading books, reading classic literature will also “train” us to think more critically. Classical writers have unique ways of challenging the readers using some witty works. When we read classic literature, I feel how spoiled we are by the modern technology. We don’t need to think further about the elements of the stories we watch. Everything is presented instantly without any further thinking “behind the scene”. There are a lot of ways that classic literature gives more modern writers inspiration. Even Jane Austen, my favorite author, has been inspired by William Shakespeare. Shakespeare’s influence on those writers has produced several masterpieces. There are also many contemporary works inspired by William Shakespeare. Work of literature cannot be separated from the life experience of the author. Either before or after reading classic literature, learning about the author’s life is very crucial and interesting to readers. Children, as readers, can learn how the author’s life gives influence toward his work. By reading stories, one gets to know how other people live. We learn about different characters and their unique backgrounds. There are different kinds of antagonist characters that readers might not have met in real life, but they can meet in classic stories. From the literary experience, readers can learn how to deal with them.